Details about Sprukits Model Kit 2014 Bandai Batman The Dark Knight Level 2 - SALE! 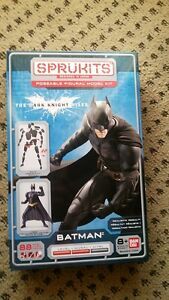 Sprukits Model Kit 2014 Bandai Batman The Dark Knight Level 2 - SALE! Do await my final invoice for necessary shipping cost and other adjustments as needed prior to checking out. Thanks!